Peacefully, at home with family by his side on Thursday, September 6, 2018. 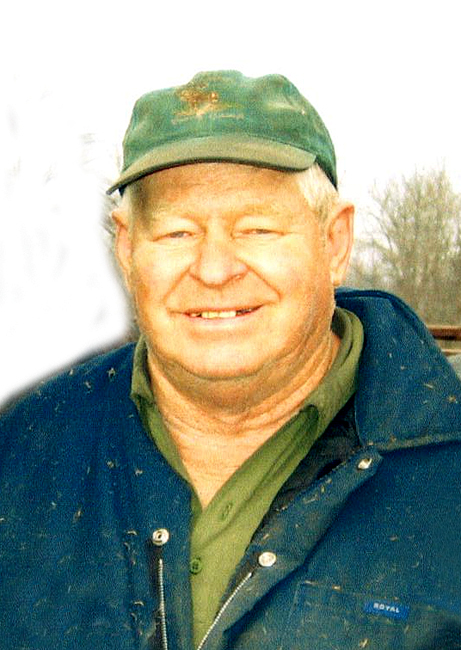 Leonard John Hinch of Erinsville at age 80. Beloved husband of Catherine Hinch (Whalen) and dear father of Carol (Richard Croteau) and Tom (Erin) of Oxford Mills; Terry (Amy Ballance) of Tamworth and Tim (Kylie Etmanskie) of Wolfe Island. Grandfather of Jack, Liam and Maeve Hinch; Vienna, Avery and Riley Ballance-Hinch; and Maysie and Tilly Hinch and the late Joseph, Kailynn and Laura Croteau. Brother of Bill (Doreen) of Camden East and Patsy Ann Hinch of Deseronto. Son of the late Tom and Patricia Hinch. The family will receive friends at the HANNAH FUNERAL HOME in Tamworth on Sunday, September 9 from 2-4 and 7-9 p.m. Mass of Christian Burial at the Church of the Assumption in Erinsville on Monday, September 10 at 11:00 a.m. Interment Assumption Cemetery. Memorial donations by cheque, made to Hospice Lennox and Addington or the Assumption Church Building Fund would be appreciated.